1.2.3 常磐線ひたち・ときわ 英語放送スクリプト／条件付き自由席 - dutcheez’s Fun with English! Ladies and gentlemen, welcome aboard the Tokiwa limited express bound for Katsuta. We will be stopping at ****. Passengers without a seat reservation or a limited express ticket may sit in seats displayed in a red lamp. However, even though the seat is currently vacant, it may have been reserved for a later part of the journey by another passenger. If so, the seat lamp will turn yellow before arriving at the station where that passenger will board; and we ask you to please give up your seat at that time. All seats on this train are reserved. Passengers without seat reservations may use vacant seats, which can be found with lights above the seat. The fee for tickets purchased on board will be different from those purchased at the stations. To know more about our service, please read the information in front of your seat. Car 5 is for passengers with green car reservations. Restrooms are available in cars 1, 3, 5, 7, and 9. Please do not smoke in this train. If you wish to use a mobile phone, please go to the end sections near the doors. The next stop will be Tsuchiura. We wish you a pleasant journey. Thank you. HITACHI and TOKIWA are Limited Express trains, and all seats are reserved. If you boarded without a reservation ticket, you may use a vacant seat. But if a passenger with a reservation ticket for that seat comes on board, please move to another seat. Please check the color of the light above the seat. 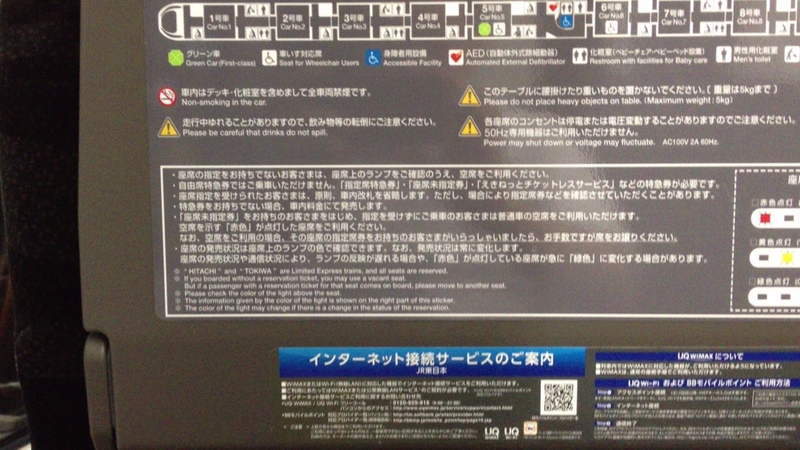 The information given by the color of the light is shown on the right part of this sticker. The color of the light may change if there is a change in the status of the reservation. 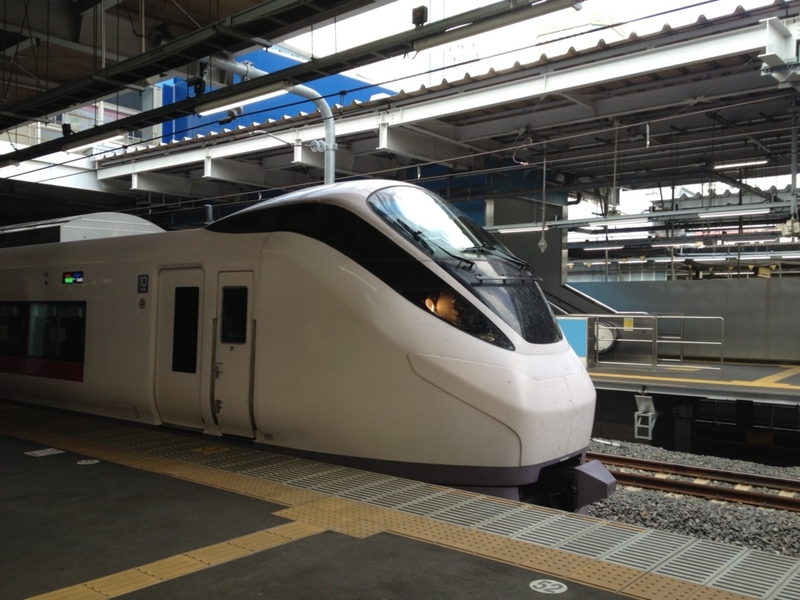 Passengers with reservation tickets take priority in all seats on Limited Express Hitachi / Tokiwa. Please use a vacant seat indicated with red lights above. If the indicator turns yellow or green, we kindly ask you to move to another seat with red indicators. Details of the indicator are shown at right. Thank you for your cooperation.